Piedmont (Piemonte in Italian) translates as “foot of the mountain”, a reference to the region's location in north-west Italy to the south of an arc described by the Alps and bisected by the valley of the River Po. The majority of quality wine production is red and takes place in the Langhe hills to the south of the region where almost every vineyard seems to have a different aspect. The very best red wines produced here are Barolo and Barbaresco, both age-worthy fine wines made from the noble Nebbiolo grape variety, but together they only account for about 3% of overall wine production. At its best Nebbiolo makes wines which are often described as “haunting” or “ethereal”. 90% of Piedmontese wine-making is centred around the three towns of Alba, Asti and Alessandria. With 42 D.O.C. and 16 D.O.C.G. wines and a host of grape varieties, the most widely planted of which is Barbera, there is no shortage of different wines to try here. Piedmont has often been likened to Burgundy such is its vinous and epicurean history – fine wines, game, white truffles and other fungi all contribute to its heritage – and the proliferation of domaines and specific, demarcated vineyard sites. In general the climate of Piedmont is characterised by hot summers, misty autumns and cold, foggy winters. Mediterranean influences, moderated by the Apennines and the Alps are major factors with meso-climates affected by tributary valleys, aspect and elevation being locally important. The best vineyard sites for Barolo and Barbaresco are on calcareous marls which have southern and south-westerly exposures with typical elevations of between 250 and 450 meters at which height the grapes gain prolonged exposure to the sun before the autumnal mists have been burned off at lower altitudes. The vineyards of Barbaresco enjoy slightly higher average temperatures than Barolo, and consequently the grapes ripen slightly earlier making wines that are less astringent, with less tannin and therefore ready for earlier drinking. 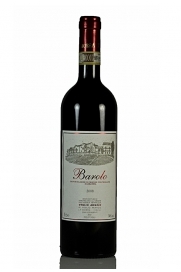 By contrast Barolo shows more tannins and acidity and requires lengthier ageing to reveal its quality. 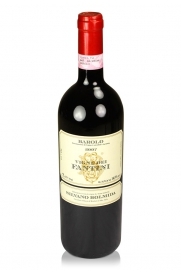 Although the very best examples of Barolo can last for several decades there are softer examples available these days that are ready to drink at a much younger age. Barolo has the reputation in Italy as being the “king of wines and the wine of kings” underlined by its heady perfume which can combine the scent of tar, roses, violets, truffle and wood smoke. As mentioned above, Barbera is the most widely planted grape variety with approximately 50% of red wine production the best known of which are Barbera d'Alba and Barbera d'Asti. It is often an acidic, fresh wine with the flavour of cherries which is best drunk with some bottle age and served with the typical food of the region including the many varied pasta and vegetable dishes. Dolcetto is another red grape variety from this region which makes darker wines that are somewhat lower in acidity but higher in tannins than Barbera. White wines are also produced in Piedmont. Moscato Bianco grapes are grown to make the widely available Asti Spumante, a sweet, sparkling white wine and also Moscato d'Asti, a sweet lightly sparkling wine termed “frizzante” in Italy, that is low in alcohol at around 5% by volume. The latter makes a very pleasant way to round off a meal accompanying dessert. Gavi is a popular dry white wine made from the Cortese variety, similar in style to Pinot Grigio, its citrus flavours being a good match with many seafood dishes. The Arneis grape is used to make the Roero D.O.C.G. wine which has a grassy freshness similar to a Sauvignon Blanc and with a hint of bitter almonds on the finish. 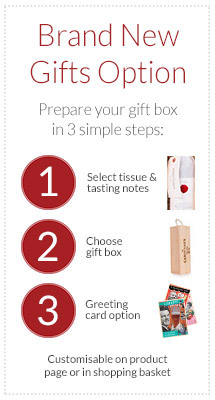 A lighter and more fragrant Barolo than is often the case. This Barolo has truly ethereal qualities. Silvano Bolmida's Barolos are long-lived wines. 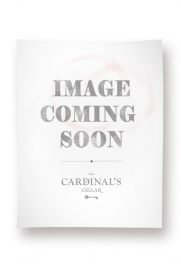 Aromatic with dense fruit and refined tannins in youth it continues to evolve developing into a complex and harmonious wine with sweet spices on the beguiling finish. 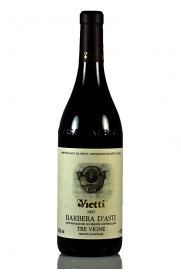 Vietti Barbera d’Asti, Tre Vigne, 1997, is a dry, medium bodied red wine with an attractive level of acidity and soft tannins. This wine is well balanced and has good integration of oak with a pleasant finish full of red cherries. 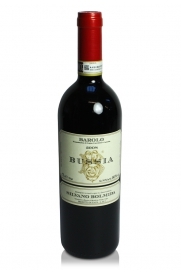 This delicious Barolo Bussia exhibits a spicy, floral and perfumed nose and with notes of cherry, licorice, and tar on the palate. 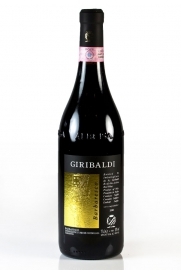 Giribaldi's is one of the better Barolo wines in this hot year. The quality shown this vintage is testament to the winemaker's skills. 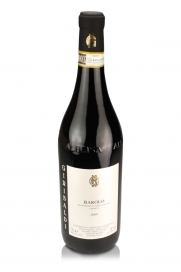 Giribaldi's Barbaresco DOCG, 2006, is a well-toned wine with a vibrant, attractive nose of cherries and plums with the characteristic undertones of tobacco, leather, cinnamon and wild roses of this wine. 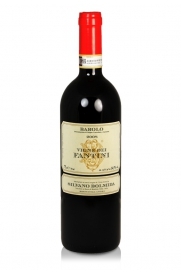 Earthiness and florality are combined in this heady, enchanting Barolo.